Today comes word of a new roll out at Ancestry.com. This database contains more than 2,200 volumes of county and regional histories from eight states: California, Illinois, Indiana, Michigan, New York, Ohio, Pennsylvania, and Wisconsin. The database is available for browse only. You then receive a list of titles to narrow your search. 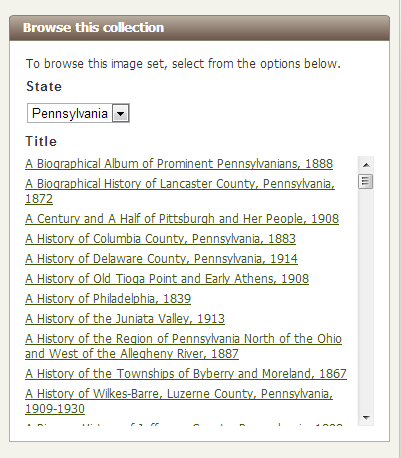 This is the top of the scrollable list for Pennsylvania county and regional histories. We tend to think of searching at Ancestry by name, when honestly most of our research should be locality specific. 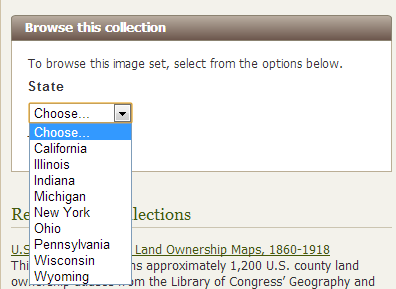 Thank-you to Ancestry.com for making this valuable collection available. If they have anything more than the card catalog, I could not get into it. Seems like a waste of time and space. Nothing searchable, merely book names.